When looking for bifocal reading glasses, you must consider a few details. Reading glasses compensate for the loss of natural adjustment, what has been in the past thought of to be an adjustment problem that comes with age (typically after 40-45 years of age) is fast becoming an issue for young eyes too. Mainly due to extended periods of strain to the eyes due to computer usage. First, I want you to understand that there are reading glasses and there are bifocal glasses. The bifocals, have a reading portion in them. 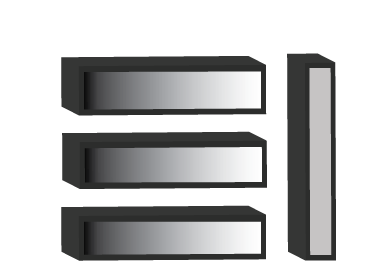 The term “bi-focals” refers to “two focal lengths”. That is one that is for a further distance(20′ +) and the other for a closer (reading distance about 10″-12″ from the face). Secondly, please note that you must be clear what you want these glasses for. If you are thinking about snuggling with a good book on the sofa…then..you probably want readers. 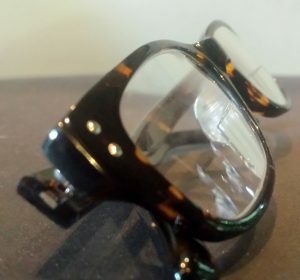 Especially, if your prescription calls for different magnification on each eye or your readers need astigmatism correction then you should buy custom-made readers from an eyewear vendor. On the other hand, if you just need basic magnification you can buy the $5 drug store glasses to give you a hand! Bifocals are needed when you have distance correction and you can’t see at the reading distance either. Then the bifocals will enable you to see the food you are eating while also having a clear view of the person across the table. The last thing you must keep in mind is that bifocals can create a little “jump” in your vision as you adjust to the “other” distance be it from distance to near or vice versa. It’s really of personal preference, but I find that most who need readers but haven’t worn glasses before seem to prefer the bifocals. 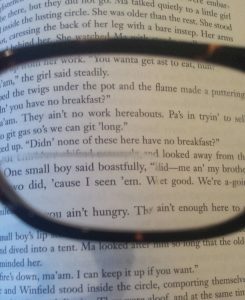 I always recommend the bifocals with the clear top (the distance portion) and readers at the bottom for those who need to see up close periodically. These folks never seem to like the progressive glasses. Well, I hope that helps..as usually call us if you need us.